Come out to the Final 2019 Elections Candidate Meet and Greet and Forum. Come and meet the candidates, hear about issues that matter most to our community and who will best represent our community needs. 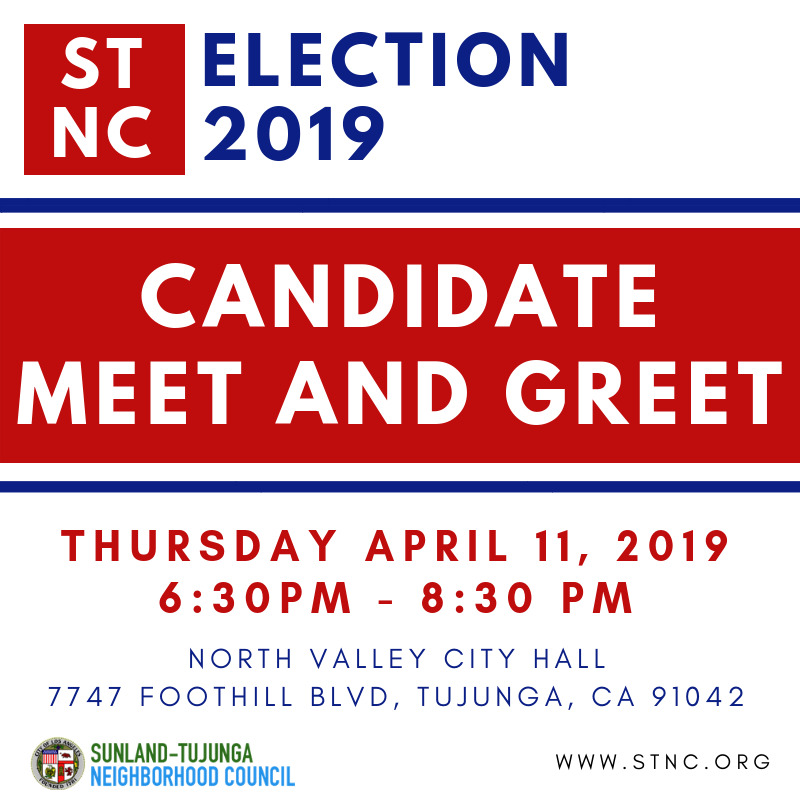 Join Us for the First Candidate Meet and Greet for the 2019 STNC Elections. Learn what the candidates are all about and how they envision making our community a better place. This month's Executive Committee Meeting will be held on Friday, February 8th, at 7pm. North Valley City Hall. Please click here to RSVP! The City has released the Final Environmental Impact Report for the Verdugo Hills Golf Course site. Attached is the notice. As shown in the notice you can access the Final EIR documents by going to the City Planning website: http://cityplanning.lacity.org then go to Environmental Review on the left and then select Final EIR. Are you doing everything possible to prepare for your child's future? 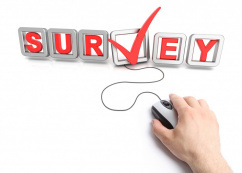 The Ad Hoc Safe Streets Committee has created a survey asking for your input on traffic safely. Please take a moment to answer these questions. This survey should only take one minute to complete. 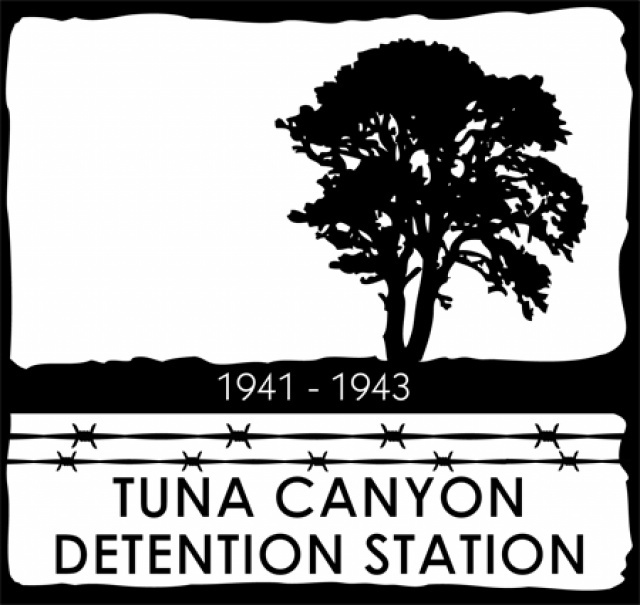 A message from the Tuna Canyon Detention Coalition! DON'T BE FOOLED. "We are NOT connected to and do NOT support a petition from a group called the "Tuna Canyon Memorial Partnership." We urge you to NOT sign their misleading petition. We appreciate your continued support to preserve the history of Tuna Canyon at its rightful location." PROTECT LA's Historic Cultural Monument #1039!!! 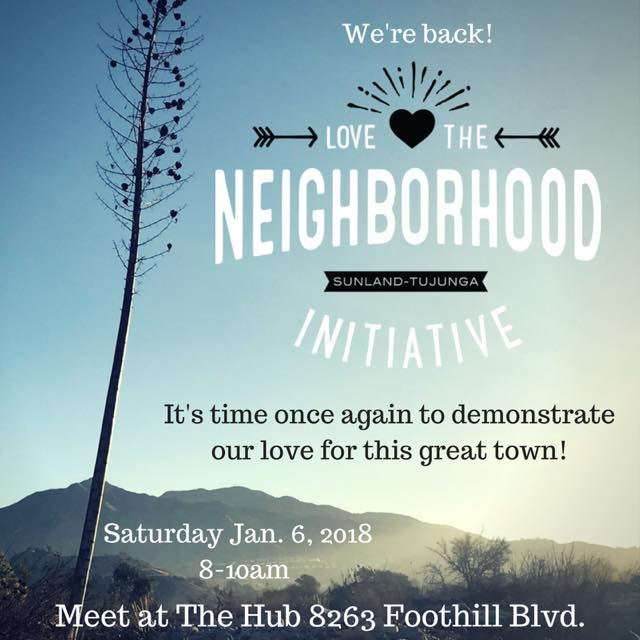 Love The Neighborhood Initiative is back! Make it a green holiday this year and recycle your tree! In addition to wrapping paper, boxes and gift packaging, the City of Los Angeles offers residents the opportunity to recycle their Christmas trees. 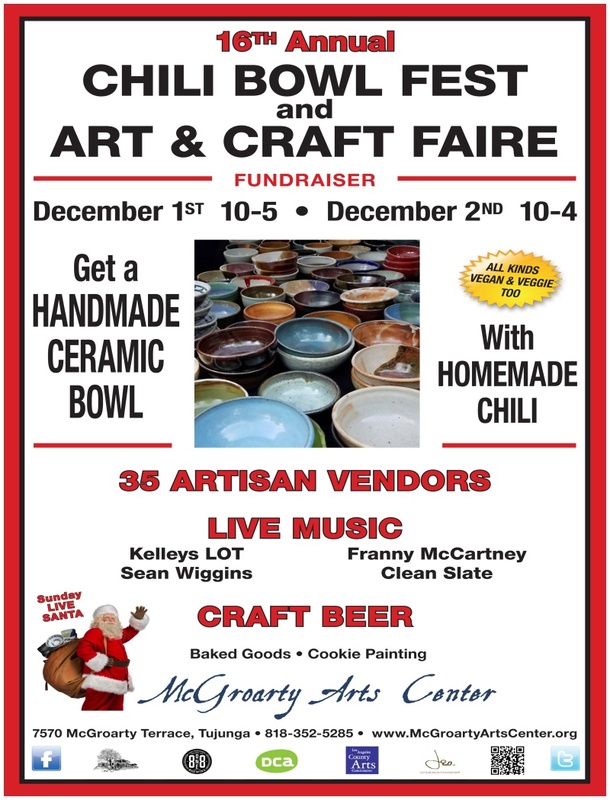 McGroarty Arts Center Winter Classes! Want to be a member of our Neighborhood Council? 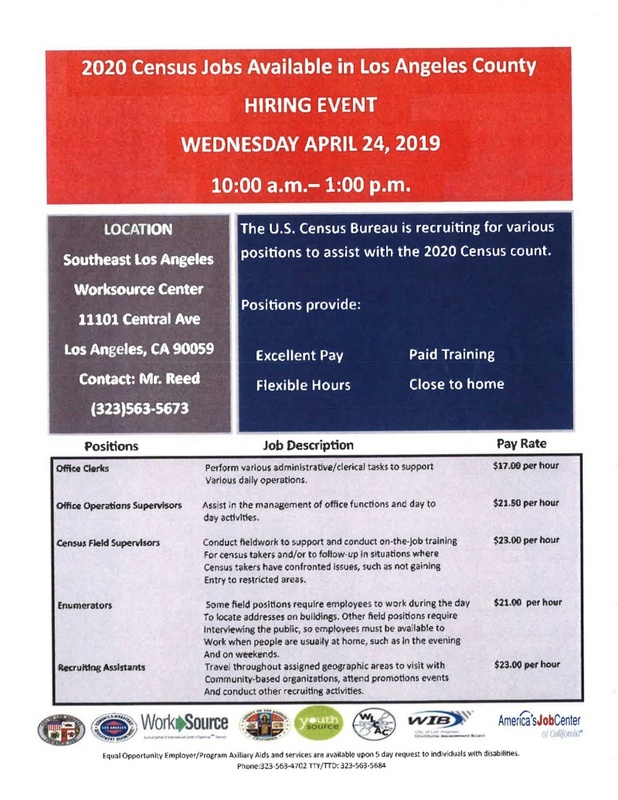 The Sunland-Tujunga Neighborhood Council is looking to fill the Treasurer position!! Please take the Neighborhood Council Experience Survey! Looking for feedback, ideas, and recommendations that the Health, Education and Neighborhood Councils Committee should take up to set the NC system on a path of success as it heads from its fifteen year anniversary on the road to turning twenty-five. 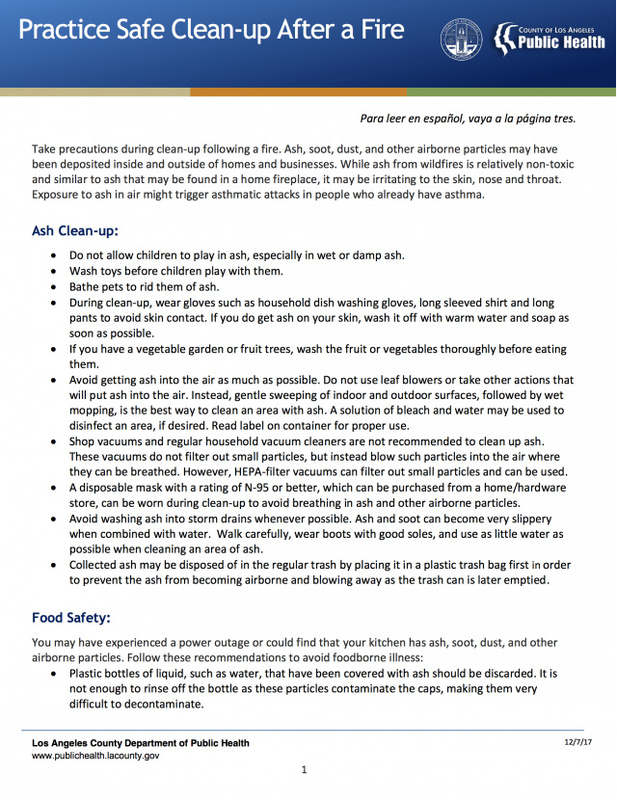 Due to the recent fires, LA County Department of Public Health (Community Health Services) wanted to reach out and share safe ways to clean-up. Check out the pdf for more information. Here are some important documents to review after a fire. Please spread the word and help our community rebuild and be even more prepared in the future! If you see a pink ribbon on your gate, home or mailbox- PLEASE LEAVE IT THERE! This is from the county damage assessment team. It means your home has been cleared. Please leave it there for now so they know who needs extra help and who doesn't. Thanks!!!!! WEST Committee Tea party and Fashion Show! SAVE THE DATE! Saturday January 27, 2018 The Women Empowering Sunland-Tujunga (WEST) Committee is proud to present a TEA PARTY and FASHION SHOW! Don't miss it! North Valley City Hall 7747 Foothill Blvd Tujuga, CA 91042 Stay tuned for more details! Flag raising Ceremony at our North Valley City Hall! On Monday November 20, 2017 at 9:00AM (arrive 15 minutes early) there will be a Flag Raising Ceremony at NV City Hall, 7747 Foothill Blvd. Tujunga. Please join us along with Congressman 28th District Adam Schiff and Councilwoman Monica Rodriguez. Announcing Senator Anthony J. Portantino's Post La Tuna Fire forum. How to protect your property from mudslides, provide info on evacuating with pets and large animals and how the fires have impacted wild animals in the area, discuss details on the ecology of California's fires and current best practice recommendations on hillside seeding, and offer info on native plants. Followed by Questions & Answers. The Sylmar Neighborhood Council voted to support our letter to LADOT about the bollards recentely added to our Foothill community. The Shadow Hills Property Owners Association also voted to support our letter. Halloween brought a ghostly local artistic statement to our infamous bollards for a sinister feel. Want to apply for the Los Angeles Civil Grand Jury? The Los Angeles County Superior Court is currently seeking qualified citizens who are interested in applying for the Los Angeles County Civil Grand Jury. For more information, please view the flyer. Was held on Saturday & Sunday October 21 & 22 The tours included live music, poetry readings, artist demos, interactive projects for The Big Draw LA, docent-led tours of historic McGroarty Arts Center, and a screening of "TYRUS" by filmmaker Pamela Tom, are all part of this special event. Come on out for the 3rd Annual Foothills District Equine Fair! Featuring discipline demos and vendors designed to delight horse owners and horse lovers alike! Fun & games for the kids, food truck, jewelry, art, crafts, non-profits, community organizations, trainers & more! New members on our Neighborhood Council! Congratulations!!! We have two new members on our Sunland-Tujunga Neighborhood Council. Lydia Grant is our new Region 4 Representative and Janelle Hussion is our new secretary!!! Verdugo Hills of Peace Cemetery Skits & Tour on Saturday October 14th! Come see many of your favorite NC leaders and community members act in the skits about our local community! Eat Tacos and Say Thanks! We get to eat and say thanks to our local Fire Station 74 first responders. Peña's will be offering free all-you-can eat tacos to all firefighters. For all other guests, $6 will offer you have a choice of: 3 tacos with rice & beans, or a burrito, or a quesadilla. MEET YOUR STNC REGION 1 Reps! Tuesday 9-19-2017 We want to get your input on what issues you want us to prioritize. This is our first Region 1 event and we want you to be included! 6 p.m. - 7:30 p.m. at Pena's Tacos. Sunland-Tujunga is a NO HUNTING ZONE! There is no place for hunting in high-density recreation areas. There is absolutely no firearm or bow and arrow discharge allowed in Los Angeles unless on a licensed shooting or archery range. In the Riverwood Ranch area, there are US Forest Service signs forbidding guns. 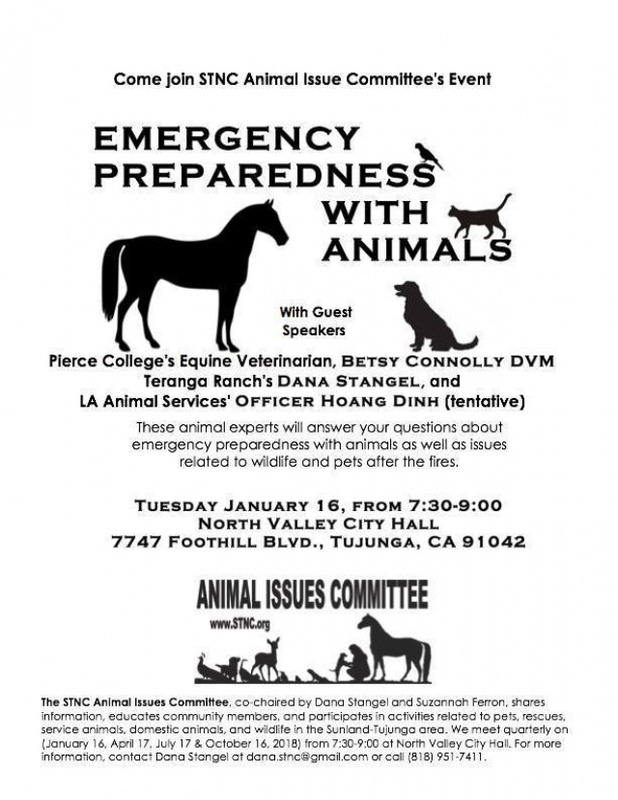 The Sunland-Tujunga Neighborhood Council is concerned and wants to help spread the word. Burgers, Beer, & Band Night! 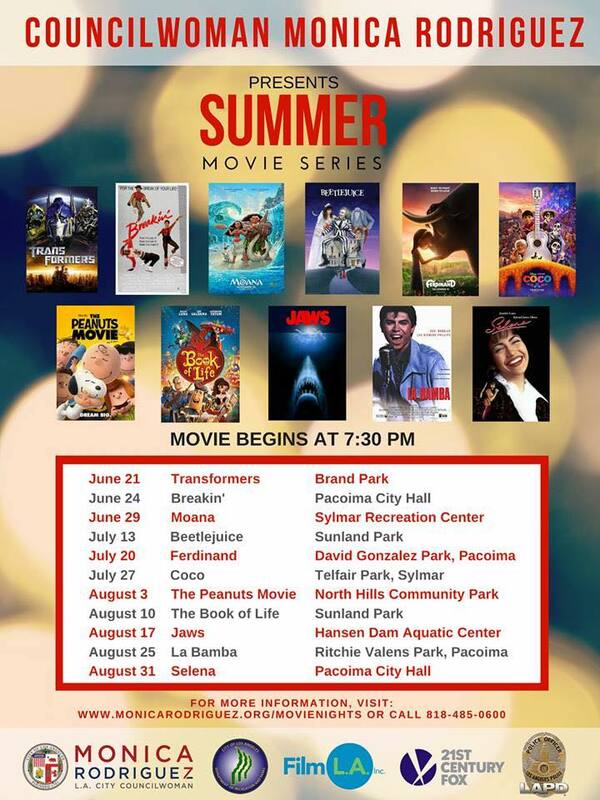 Thank you for attending the FREE movie night at Sunland Park! The turnout was great! Hundreds of Friends and neighbors gathered in Sunland Park for a free movie night featuring the family friendly film 'Sing'. 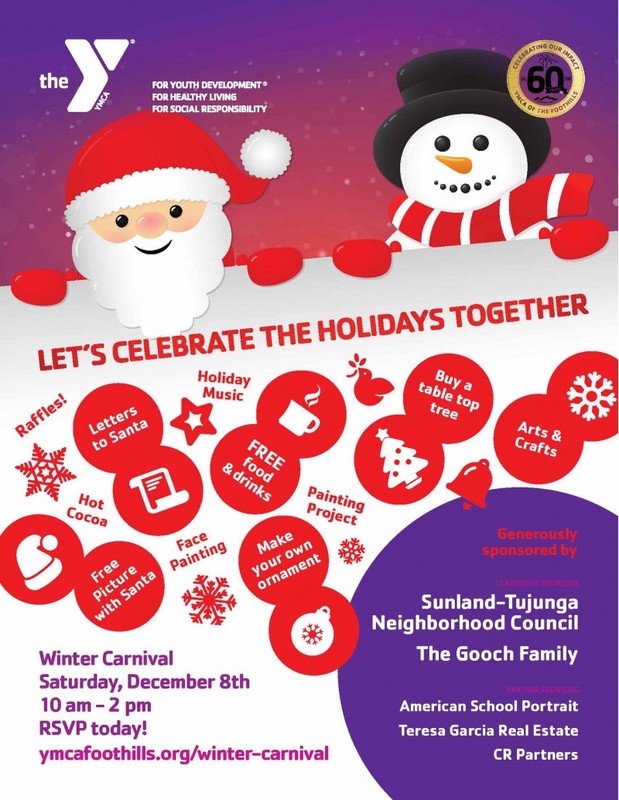 Sponsored by Assemblyman Raul Bocanegra, Councilwoman Monica Rodriguez and the Sunland-Tujunga Neighborhood Council (STNC) the event had free giveaways like popcorn, pizza and candy! The S-T Chamber of Commerce will hold the 2017 Honorary Mayors Race and Community Awards Banquet this Thursday Aug. 17, at The Great Caesar Banquet Hall in Tujunga. The annual gala event recognizes and commemorates the outstanding contributions of community members and elected officials. Formal attire requested. The chamber reserves the right to refuse entry for any reason. SAVE THE DATE: SEPTEMBER 9th The annual Congress of Neighborhoods is the Neighborhood Council system’s largest event of the year, bringing over 800 Neighborhood Council leaders from across Los Angeles together at City Hall for a day of education and networking. Local Cooling Centers • Sunland Park Senior Center, 8640 Fenwick St., Sunland • Lakeview Terrace Recreation Center, 11075 Foothill Blvd. 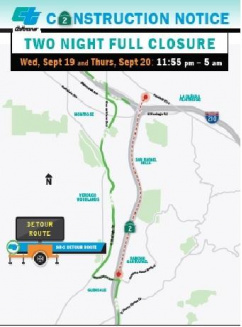 Foothill Freeway (I-210) Closures for Pavement Rehabilitation Long Term Ramp Closures: Opening July 10: Westbound Gould Avenue on-ramp and Angeles Crest Highway off-ramp Closing July 10: Westbound Lincoln Avenue on-ramp and Arroyo Boulevard off-ramp Note: Caltrans will open Gould Avenue and Angeles Crest ramps before closing Lincoln Avenue and Arroyo Boulevard ramps. Save the date and register! 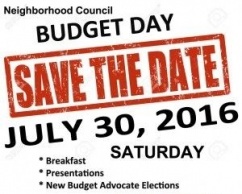 Saturday, June 24th is Budget Day and all Angelenos are invited. Besides a free breakfast, attendees will have the opportunity to check out the amazing architecture of City Hall and learn a bit about the City’s budget and how it operates. Let's Play Everywhere Challenge - Now Open! WHAT IS LET'S PLAY EVERYWHERE LA? Let's Play Everywhere LA is a competition presented by Dr Pepper Snapple Group and KaBOOM! in partnership with the City of Los Angeles to award a total of $200,000 in grants to 10 winners citywide. Over the course of the next two years, we will be asking for your input on various topics that will inform the General Plan update process. The first element we will be focusing on is the Open Space Element. Your feedback for this short 3-5 minute survey will help shape the future of open space in Los Angeles. Congratulations to our new Councilwoman Monica Rodriguez! Our new City Councilwoman for CD7. 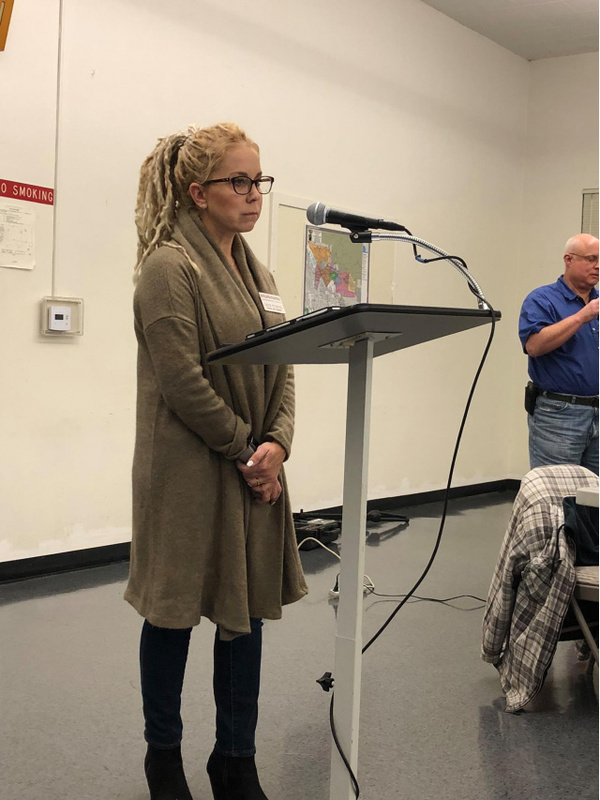 And... congratulations to our very own Neighborhood Council Boardmember Eve Sinclair who has been named Area Director for Sunland-Tujunga and will be working out of the North Valley City Hall office. Her office can be reached at 818 352-3287. Our Neighborhood Council looks forward to working with all of you to bring a successful five and a half years of advocacy and progress to our incredible community. Looking for local SMALL ASPHALT REPAIRS! The (SAR) truck will be here on 07/17/17. Please let us know what areas need the help and we will submit them to the City! 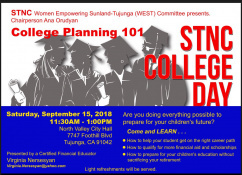 Mission College has arrived in Sunland-Tujunga! Free TEEN DANCE for our local youth! The 2017 McGroarty Artists Show is Coming March 8-14 Opening Reception on Saturday, March 11th, 6-9pm! STNC Junior Youth Advisory Council Food Drive! Click here to view the CD7 candidate videos and questionnaire responses that were submitted for the candidate forum on Saturday, February 11! Los Angeles City Council District 7 Candidate Forum! Please join the Foothill Trails Neighborhood Council on Wednesday January 25th, 2017 from 7-10pm for a Los Angeles City Council District 7 Candidate Mixer. STNC Junior Youth Advisory Council Committee 2017 Kick-Off! Attention local Middle and High school students! We are recruiting a few more students that enjoy helping out in the community for our Youth Advisory Committee! Are you interested? Join us on Monday, 1/23/17- Joselitos West at 6pm! The Los Angeles Homeless Services Authority announces the temporary extension of hours at most winter shelters. Most winter shelters will operate for two separate 64-hour timeframes to accommodate for cold and wet weather conditions. LADWP Will Host Customer Service Saturday at Four Regional Customer Service Centers on November 12, 2016 from 9 a.m. to 1 p.m.
LADWP is holding workshops across the City regarding the 2016 Integrated Resource Plan that will help chart the course for the City's power supply for the next 20 years. Watch STNC's Region 1 Rep Pat Kramer on L.A. Cityview 35 to learn how one Neighborhood Emergency Preparedness Plan may have saved a Sunland family from injuries in a recent fire. Saturday, October 15, 2016 8 am to 12 noon Please join the County of Los Angeles Department of Public Works & ECORP Consulting for the 10th Annual Trail Cleanup Day. Come out and give a helping hand by cleaning up litter along Big T�s beautiful trails. Yappy Hour Fundraiser for Teranga Ranch! "Yappy Hour" Fundraiser benefiting Teranga Ranch at Joselito's Tujunga on Thursday, September 29! Joselito's will donate 15% of sales if you show the attached flyer (printed or show on your phone). McGroarty Arts Center is hosting a Burgers, Beer, and Band Night! LANCC Meeting - Saturday, August 6 - 10 a.m.
Sunland-Tujunga takes priority at LANCC this Saturday: LAPD Deputy Chief Green needs our support for speed surveys to be done on our streets so LAPD can enforce speed limits and Dana Stangel, STNC VP Outreach is promoting Animal Services committees for all Neighborhood Councils. 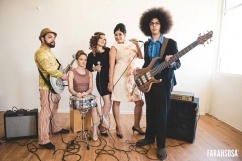 McGroarty Arts Center is hosting a free concert by the Latin Jazz band Cuicani on August 19th from 7-9 pm. A Flex Alert is a call for consumers to conserve electricity during heat waves when power use outstrips electricity supply and other challenging grid conditions, such as when power plants or power lines are unexpectedly unavailable making electricity deliveries difficult. Vision Zero is a citywide initiative that makes safety the highest priority of our streets. The City wants to hear about your experiences related to traffic and road safety, and discuss a range of strategies to get to zero deaths! See below for schedule of meetings to be held at libraries around the City 5:30 - 7:30 p.m.
Bia Gayotto, Artist-in-Residence, City of Los Angeles Department of Cultural Affairs and Bolton Hall Museum invite you to participate in a series of free workshops where you will meet other local residents and share your neighborhood stories. Received via Mayor Garcetti -- SAND FIRE: HAZARDOUS AIR QUALITY AND ASH CLEAN-UP - The Southern California Air Quality Management District and LA County Public Health have issued a Smoke Advisory for the City of Los Angeles including the LA Valleys and Basin through Sunday evening due to smoke from the Sand Fire burning in the Santa Clarita foothills. Links to news regarding the Sand Canyon Fire, evacuations and volunteer needs. North Valley City Hall, 7747 Foothill Blvd., Tujunga THIS TUESDAY EVENING -- July 19th COMBINED SUNLAND-TUJUNGA & NEARBY NEIGHBORHOOD WATCH MEETING --> 6:00 PM <-- North Valley City Hall 7741 Foothill Blvd. Park in back. 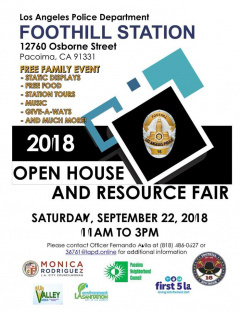 Come ask, learn, and take crime-prevention ideas back to your neighbors! Mayor Eric Garcetti joined the Los Angeles Housing and Community Investment Department (HCID) today to launch a new outreach campaign that will help protect renters from displacement by arming them with information about their rights under the City�s Rent Stabilization Ordinance (RSO). The 9th Annual Valley Disaster Preparedness Fair will take place on Saturday, October 1, 2016 from 10:00 am to 2:00 pm at Fire Station 87 in Granada Hills. Visit www.ValleyDisasterFair.com for more information and online registration. A Save The Date flyer can be downloaded here. 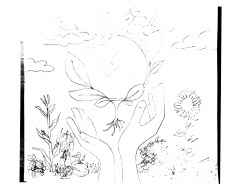 You�re invited to join the Neighborhood Council Sustainability Alliance (NCSA) on Saturday, July 9, for an Open Space circle (aka an �unconference�) where YOU propose topics for discussion, and then convene or join topic sessions you care most about. DWP Reform is expected to be on the November ballot for the voters to decide. Many of our city�s hopes for a better planet meet in a curious place: the Los Angeles Department of Water and Power. Whether it is a sustainable local water system in the midst of drought or reducing the city�s greenhouse gas emissions in the midst of climate change, LADWP attracts the attention of a wide variety of environmental interests. New Guard Rails -- Getting our fair share of city services in Region 2 Tujunga! It took over a year but we did it! The following report submitted by Neighborhood Watch Rep Jon vonGunten. Newly Elected Board Members: The Department of Neighborhood Empowerment will be hold a Treasurer's Funding Training on April 19, 2016 at: Council Member Wesson District Office 1819 S Western Ave Los Angeles, CA 90006 6:00pm - 9:00pm (Ample onsite parking parking entrance is off Manhattan Place) April 25, 2016 Marvin Braude Constituent Service Center 6262 Van Nuys Blvd. Van Nuys, CA 91401 6:00pm - 9:00pm This will satisfy the required funding training for Board voting eligibility on all funding matters. The Beautification Committee of the Sunland-Tujunga Neighborhood Council (STNC) has received the approval to have artists paint mini-murals on the local utility boxes. A year and one half later the project is all coming to life with color and beautification. Persistence by the STNC volunteers had paid off. A handful of the 15 artists have started to paint their chosen boxes and the community is excited to see this project come to fruition. Oro Vista Park -- A possible grant for more improvements? -- deadline is April 30. STNC Board Member John Laue ( Environmental Rep) message and request for you to vote: LA Park and Recs just sent me an email that Oro Vista Park is one of three finalists for a $20,000 grant from the city. If our park receives the grant, it would be used to install some badly needed exercise and fitness equipment--see the photo below for example of this equipment. If you have Bulky Items you can drop them June 18 in Sun Valley. Don't clutter our streets and alleys. Drop items at the East Valley District Yard, 11050 Pendleton St., Sun Valley. 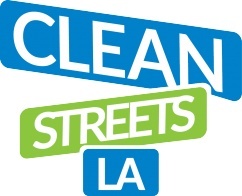 Clean Streets - Join the Clean Streets LA Challenge! Community Meeting will be Thursday, April 7 at 5:30 p.m. regarding proposed mural project at Howard Finn Park Community Garden, 7747 Foothill Blvd. The mural painting is scheduled to take place on April 16. The Lucy Pet Foundation 8307 Foothill Foothill. 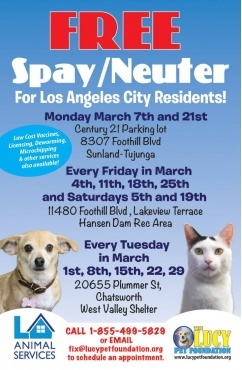 Call to schedule free spay/ neuter, show up between 10am-2pm for low cost vaccinations. The Official FINAL Canvass of Votes is posted! -- A final recount was held Wednesday to count the Provisional Votes and Monday at the City Clerk's office in Downtown L.A. The recount numbers are in red and the final recount numbers are in green. Thank you to all candidates for running for office and congratulations to those who are now elected. Installation of the board is scheduled to take place at the next scheduled meeting on April 13, 2016. Please share with your neighbors: Sunland-Tujunga Neighborhood Council FINAL 2016 Certified List of Candidates for the election to be held on Saturday, April 2, 2016 in the VONS Parking Lot, Mt. Gleason & Foothill, Tujunga -- 39 total candidates. Candidates are listed in the order they will be listed on the voting ballot. To learn more about the candidates attend Candidate Forums and Events. If you miss the events see the STNC Video Channel link. The final event for meeting the candidates running for the STNC board will be a Candidate Mixer. This is an opportunity to meet one on one with the candidates. Please invite your neighbors to this event which will be held at Bolton Hall Museum. STNC Voter Registration Form. Fill out the form and bring with you on Election Day, April 2. Saturday, April 16, 2016 - 8 a.m.-12 noon - UPDATE: Bring a rake or a shovel and let's Recologize the Howard Finn Park Community Garden by repairing planter boxes, planting drought resistant plants (see flyers for more details. This event is made possible by Recology Waste Zero CEO Mike Sangiacomo and Councilman Felipe Fuentes. Event is Tuesday, March 29 - Downtown L.A.
STNC is on Facebook ! Sunland-Tujunga Neighborhood Council STNC --- Your new STNC Board is posting news on Facebook daily and sometimes multiple times throughout the day. Check it out. Welcome Keep Los Angeles Beautiful engages and supports Angelenos in taking greater responsibility for improving and beautifying their neighborhood environments. 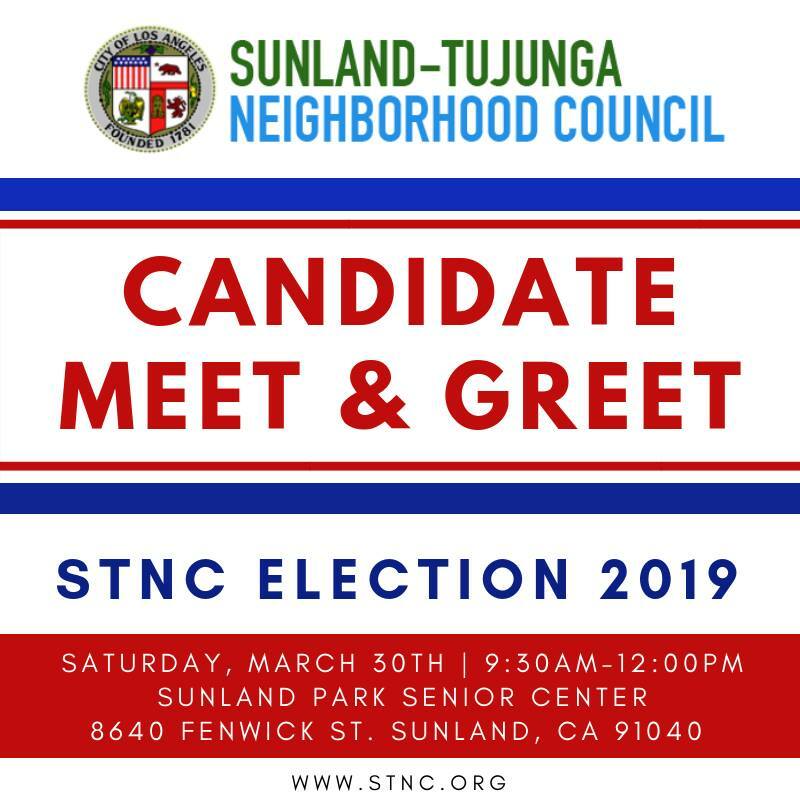 We are working to make this Sunland-Tujunga Neighborhood Council (STNC) website a go-to resource for anyone who wants to be active and involved in Sunland-Tujunga. 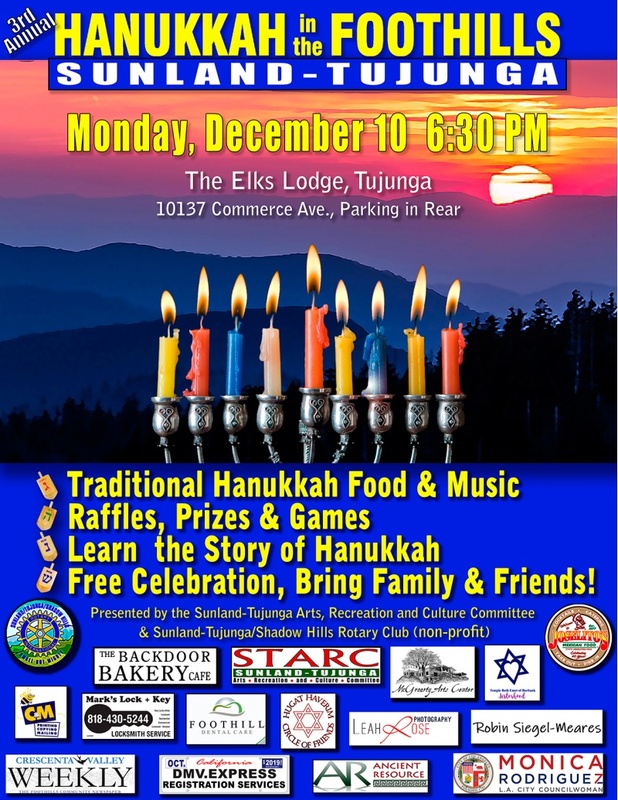 The Sunland-Tujunga Neighborhood Council provides a forum to engage residents and businesses, opportunities to meet city, county, state, federal, schools and business leaders who affect Sunland-Tujunga, and a place to find agreement on mutual interests to preserve and improve the quality of life in Sunland-Tujunga. Neighborhood Integrity Initiative - What is it ? LADWP Accepting Public Input on Proposed 2015 UWMP To provide stakeholders with an opportunity to review or provide input for the proposed 2015 Urban Water Management plan (UWMP), LADWP has released the draft 2015 UWMP online at www.ladwp.com/uwmp. Artists have started to paint the DOT utility boxes throughout the community. Completion of this project is underway! Thank you to all the volunteers, community leaders, stakeholders, artists and City staff who made it possible. The ordinance amends provisions related to the establishment and operation of shelters for the homeless when a "shelter crisis" has been declared by the City Council and/or Mayor. ARE YOU COMING TO THE RALLY IN THE VALLEY EVENT TONIGHT ? COME OUT AND MEET CITY CONTROLLER RON GALPERIN AND SCHOOL BOARD MEMBER MONICA RATLIFF. 6 P.M. TONIGHT AT POLY HIGH. Spotlight on 2 Valley Neighborhoods Committed to Emergency Planning! Sunland-Tujunga Neighborhood Council (STNC) will hold elections for all 21 seats on Saturday April 2, 2016. Now is the time to learn more about what it takes to be a board member by attending all meetings and events. PROPOSED PROJECT: An ordinance amending Section 14.00, Chapter 1 of the Los Angeles Municipal Code to create a process for granting legal status to unapproved dwelling units in existing multiple-family zones when certain affordability criteria are met. The purpose of this amendment is to further health and safety standards in multifamily buildings, preserve and create affordable housing and establish procedures to legalize certain pre-existing unapproved dwelling units. Maintenance activities will be conducted throughout the Big Tujunga Wash Mitigation Area starting Monday, Nov. 9 through 20. The crews will begin in the areas surrounding the Ponds and then work their way through the entire site, including the riparian area. Please be watchful when riding horses or hiking in the vicinity of where the crews are working. Crews will be cautious when horseback riders or hikers are in the vicinity of their work area, but it would be most helpful if you can avoid their work areas. If you do come upon a crew, please call out to them if they do not see you so they can stop their equipment until the equestrian or hikers pass by. The Department of City Planning is pleased to present to you our very first issue of the Neighborhood Conservation Newsletter. Please help spread the word on current updates regarding the Interim Control Ordinances and how the Neighborhood Conservation Team is actively working towards creating appropriate regulations. Feel free to visit our website for more information and how to get involved! LADWP has made water recycling a key strategy of the Urban Water Management Plan (UWMP). The UWMP is a blueprint for creating reliable sources of water for the future of Los Angeles. The goal is to increase the total amount of recycled water to 59,000 acre-feet per year by 2035. The purpose of the project is the long-term clearing, cleaning, maintaining, repairing, and restoring of Oro Vista Avenue and associated berms, swales and shoulders that are located within the Big Tujunga Wash. FrameWORK series on the Los Angeles General Plan Framework Element is intended to introduce you to the citywide document that lays down the guiding principles for how Los Angeles will develop in the years ahead. 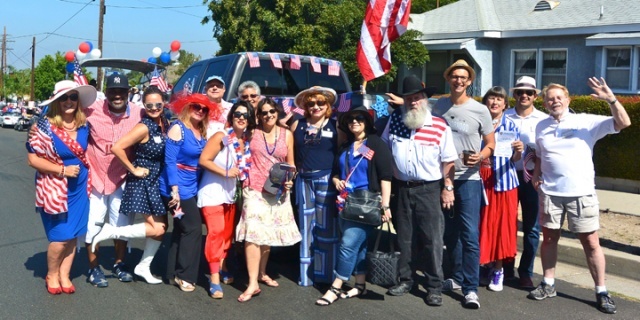 Here is a link to board member Krystee Clark's photo gallery from the Sunland-Tujunga Fourth of July Parade. What a fun day! Thank you Krystee! 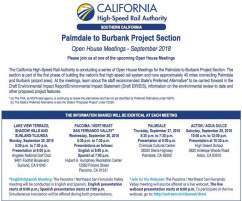 IMPORTANT CALIF. HIGH SPEED RAIL Board Meeting June 9 at 9 a.m. Comment Deadline is June 30, 2015. The STNC will be considering their comment letter at the next meeting. CANDIDATE FILING CLOSED -- Certification of all certified candidates will be confirmed by the City Clerk in a few days. Check back soon to see who is running. Meet the Candidates at the next STNC meeting on Feb. 10 at the Elks. 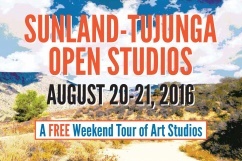 Sunland Tujunga continues to grow with great promise for an even brighter future. Some recent new news has to do with a “State of Sunland Tujunga” report put together by Public Affairs students at UCLA. The team will be at our STNC meeting on March 12 to present their findings. Click on the STNC Land Use Projects List *Also be sure to check the Video link to view meetings and presentations. The LUC welcomes Cathi Comras and Liliana Sanchez who have been appointed by the STNC board to serve on the Land Use Committee as alternates. A proposal for a Small Lot Subdivision at 7018 Valmont will be presented at the next Land Use Committee meeting by the developer. The Mitigated Negative Declaration has been published in the LA Times with a comment deadline of 10-21-15. The City Council's Budget and Finance and Public Works continue to discuss the implementation of a Citywide Sidewalk Repair Sidewalk Repair Program. On Monday, May 19, a Town Hall to discuss the Branding Initiative took place. Here are documents and presentations that were shared that evening.